On January 17th, 2012, the photos of actor Kim Bum while hugging baby exposed, attracting everyone’s attention. 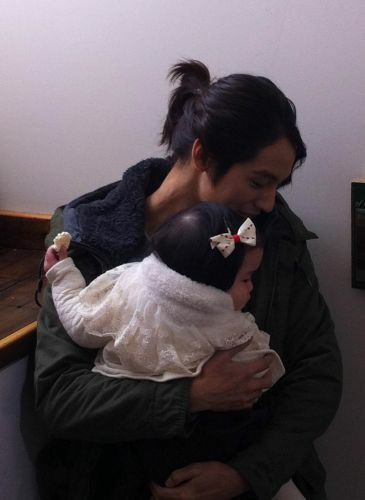 In the photos, Kim Bum firmly holds the little baby girl, eyes are full of tenderness, while corners of the mouth shows gentle smile. The little baby girl is playing the role of daughter of Hyo Suk in JTBC drama Padam Padam… The Sound of His and Her Heartbeats. 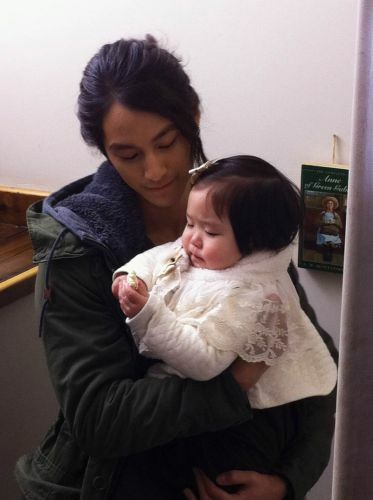 During the gap in filming, Kim Bum held the baby to play with her. Many netizens commented after seeing the photos, “The way Kim Beom looked at baby has the feel of uncle,” “The position of Kim Bum embraced the baby was very accurately,” “Impressed by his expressions in the eyes,” and so on. In addition, Padam Padam starring Han Ji Min and Jung Woo Sung is broadcast every Monday and Tuesday at 8:45 PM.